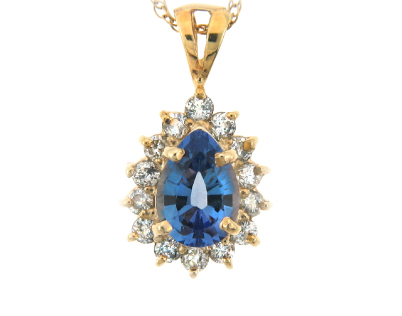 A royal stone, sapphire is one of the four precious stones and is the birthstone for the month of September. 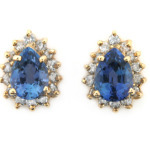 While often thought of as blue, Sapphires can be found in every color of the rainbow. Colored sapphires have become more and more popular in recent years, with collectors seeking out unique jewelry pieces containing multi-colored sapphire stones. One of the most famous engagement rings of all time was Princess Diana’s 12-carat sapphire surrounded by diamonds, which Prince William gave to Catherine Middleton upon their engagement in 2010. 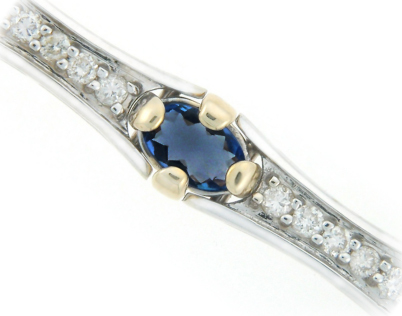 Sapphire jewelry can be a timeless keepsake gift for anyone with a September birthday. 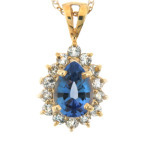 When shopping for colored sapphires, look for those with more vibrant, saturated colors. Marquise sapphire and diamond ring in yellow gold. 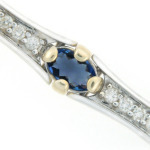 Sapphire and diamond bracelet in white gold. Round sapphire ring with channel set diamonds. 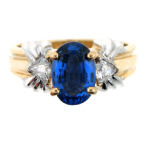 Oval sapphire & diamond ring – white & yellow gold.